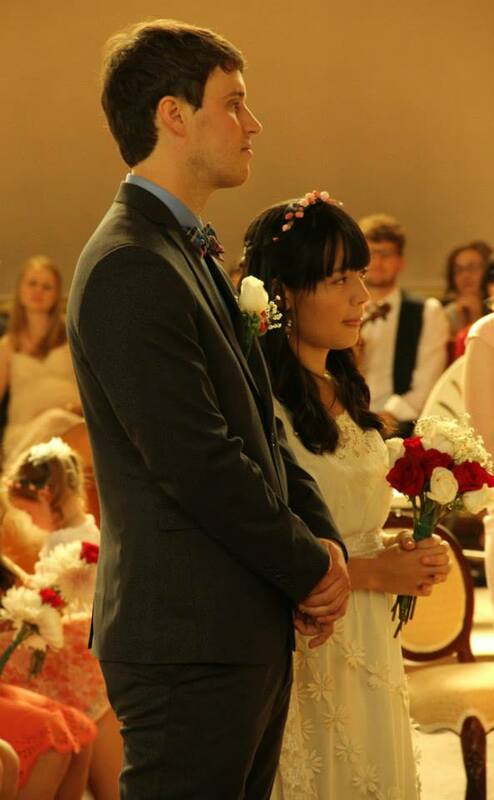 Three cheers to Sarah Frank and Luke Fraser of The Bombadils who were married on Saturday, August 23, 2014 in Montreal. Your wedding photos are lovely; best wishes from your fans in Lancaster, Pa. Chestnut House Concerts is hosting Lindsay Lou & the Flatbellys at 7:00 p.m. on Sunday September 7, 2014. If you would like to attend, respond to the event on our Facebook page or email Tim at tlehman9@gmail.com. This entry was posted in Artist Updates, For Your Information, Upcoming House Concert and tagged Chestnut House Concerts, Lindsay Lou & the Flatbellys, Luke Fraser, Sarah Frank, Sunday September 7 2014 by chestnuthouseconcerts. Bookmark the permalink.